New Jersey has been battling the legalization of marijuana and has seen the impacts opioids have had on the state, Gov. Phil Murphy announced Wednesday a brand-new approach on addiction by adding it to the list of conditions that would qualify any state resident for medical marijuana. He also plans on expanding Medicare coverage for medication-assisted treatment a method that has been scientifically proven to prevent relapses. New data shows at least 3,100 residents died due to drug-related overdoses in 2018, is the fourth consecutive year, it has increased-setting new records in the Garden State. The Governor explained that the percentage rise was not, however, the sharpest increase, going from 15 percent in 2017 to 2018 compared to increasing 24 percent from 2016-2017. During a press conference that was held at the Cooper University Hospital in Camden, Murphy and seven members of his office added new options that will help people locate the best possible addiction treatment available to them. 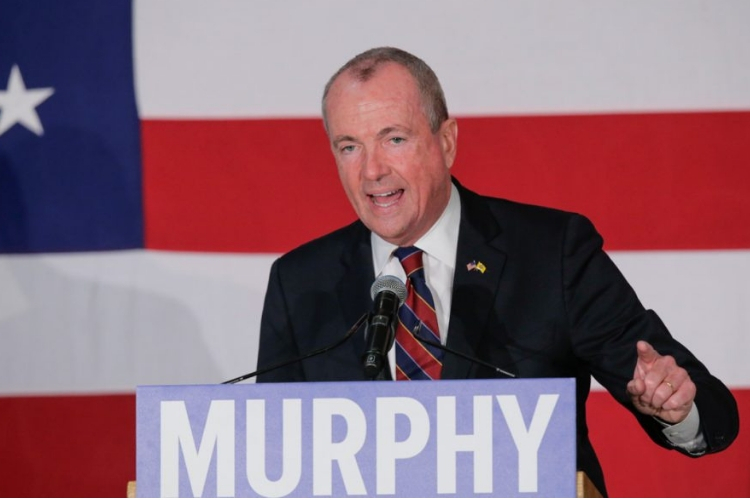 Murphy believes that by including medical marijuana, which is already recommended for people with chronic pain, will only benefit patients who struggle with opioid addiction. According to the State Health Commissioner Shereef Elnahal, there have been studies that showed a lower overdose death rate and a lower rate of opioids prescribing in states where medical marijuana is legal and available to patients with addictions. Another step the state plans on taking is to include $2 million to expand the services that come from the locally-run syringe exchange programs, seven are currently located in the state of New Jersey, these are facilities that allow injection drug users to turn over their used needles and receive clean ones to prevent the spread of HIV and Hepatitis C.
In 2017 a new law was put into action under Gov. Chris Christie which aimed to limit the amount and time opioids were prescribed. Despite prescriptions declining, Murphy noted that there had been an “exploding surge” of the synthetic drug Fentanyl, which is now being mixed with cocaine, heroin, and prescription made pills. He believes it is the reason for the rise in deaths since it became popular in the state back in 2015 in which nearly 10,000 have died. For example, since the new year already 141 people have died from a suspected drug overdose through Jan 1- Jan. 20, which is about seven deaths a day. Murphy claims medication-assisted treatment has been proven countless times to be the most effective ways to break the addiction cycle because it blocks the “high” a user is after, slowly weaning them to sobriety. Throughout the years the idea of trading one drug for another has been deemed taboo or controversial in many eyes. However, those stigmas are adapting. The Recover is an unbiased substance abuse and mental health news provider. They are helping individuals looking for the right treatment programs in their area and also providing information on New York drug rehab centers for addiction recovery.